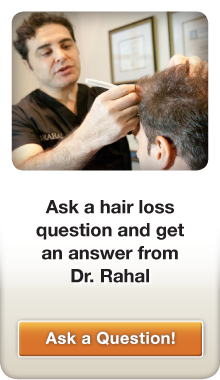 It’s been ~1 week from my hair transplant with Dr. Rahal. 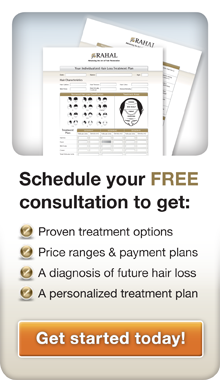 For those who are thinking about having a hair transplant with Dr. Rahal, I just want to highlight the importance of one of his postop instructions: take at least one week off after the procedure (and maybe even 2-4 weeks if possible). Even though my recovery has been quick (I went back to work on the fifth day with no pain or swelling), you will not look presentable if you follow Dr. Rahal’s postop instructions to the most finite detail. The application of the vitamin E oil to the recipient area is extremely important (it really does help with the healing process), but also highly difficult to apply and left my “combover” greasy and wet for the entire day (the “combover” refers to my long hair behind the recipient area that I use to cover up the redness and scabs in the recipient area). To my horror this week, one of the VPs at my company asked me if I had been running outside when he passed by me in the hallway! Yikes! Plus, just my luck, I happened to meet some cute girls during my daily interactions, which of course were quite embarrassing to say the least. By some miracle, one actually agreed to go out a date with me last night….awesome…me, the girl and my greasy/wet combover! So the moral of the story, unless you a total boss (or bum…I’m pointing the finger at myself now) and don’t care how you look in your work and social life (or is able to wear a hat at all times), I would highly recommend that the Rahal hair transplant patient take at LEAST one week off from life to heal and stay out of the limelight. 1 week post-op and already getting dates! Well done buddy!